How Incomplete Is Your Data? Bad data is the number one problem facing companies around the world. One study by MarketingSherpa found that every year 25-30% of data becomes inaccurate, which lead to the conclusion that lead generation programs fueled with incorrect data, results in a drastic decrease in marketing effectiveness and sales conversions. If these statistics are alarming to you, you may want to invest in a platform that will enrich, normalize and append your data (like RingLead’s DMS Enrichment tool), so you have the most accurate and up to date information about your prospects. Get a FREE data analysis of your Salesforce fields here, to find out what percentage of your records don’t have specific fields populated. 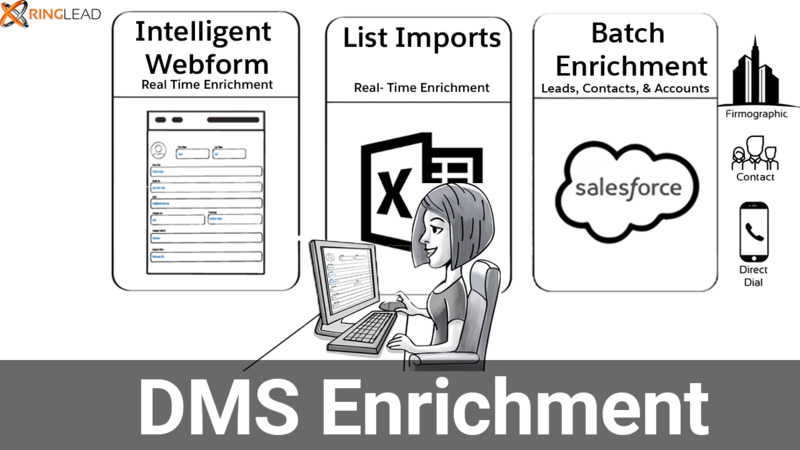 If your analysis isn’t what you expected, visit our website at www.ringlead.com/dms-enrichment/. To learn more, watch our DMS Enrichment video to see how the product with the highest data fill rates in the industry can help you with all your data needs. PreviousPrevious post:RingLead Launches New Feature: Custom Object MergingNextNext post:DMS: The Data Platform Your Whole Team Will Love!